The World Debate challenge will be held in Croatia next month and EmStret Holding Limited has received support of K5, 000 from Pacific Balanced Fund which will go toward travel expenses for the team to this international event. Lawrence Stephens CEO of MTSL gladly announced the support of K5, 000 which will be given to the team made of 5 students: Sabina Buskens Year 12 – Kopkop College, Vaibhavi Guru Year 10 – POMIS, Christopher Nakue Year 11 – Don Bosco Technical School, John Raka Yr. 12 – Kila Kila Secondary School and Michael Sarevelahr yr. 11 – Gerehu Secondary School, Head Coach Kini Karo, Co – Coach Mary Handen, Roselyn Wuniki – Assistant Coach, Vaili Kekedo – Observer, Rose Gerari – Observer and Team Manageress Vani Nades. PBF continues to invest in local talent especially with education and the platform provided by EmStret is the perfect opportunity at the international arena. Ms. Vani Nades Founder of Em Stret Holdings whilst thanking the organization said this international event gives the opportunity at the same time exposes our students with great challenges that enhance their skills and knowledge builds their character and gives them competitive edge. PNG is leading the pacific with the first ever team to be sent to this challenge. Aside from the debate challenge EmStret holdings also runs programs in Spelling bee, poetry slam and will host the upcoming 4th Melanesian School debate in November this year. The programs and competitions are believed to further enhance and improve literacy at school, provincial and national level. 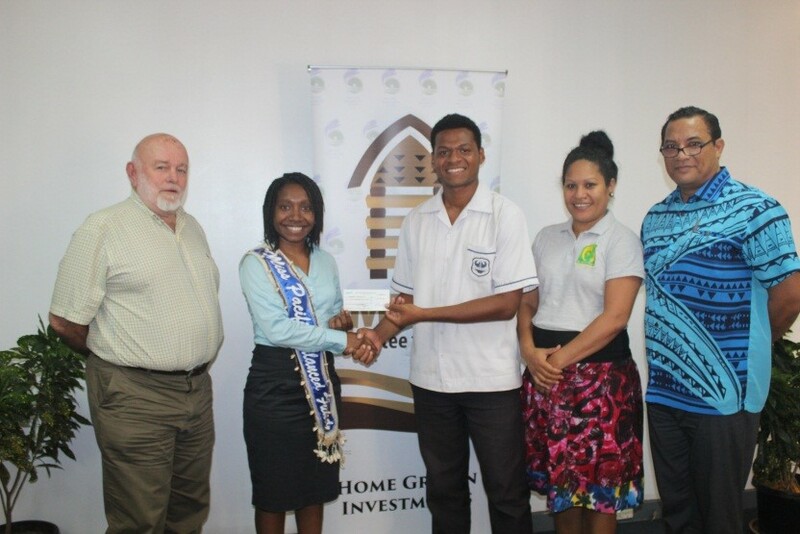 Pictured: Miss PBF (2017) Renee Siaguru presents the cheque to Team PNG Member John Raka from Kila Kila Secondary School with MTSL CEO Lawrence Stephens (Left), EmStret Founder Vani Nades and Head Coach Kini Karo.